Entire industries aren’t disrupted very often, but when they are, the results can be something to behold. 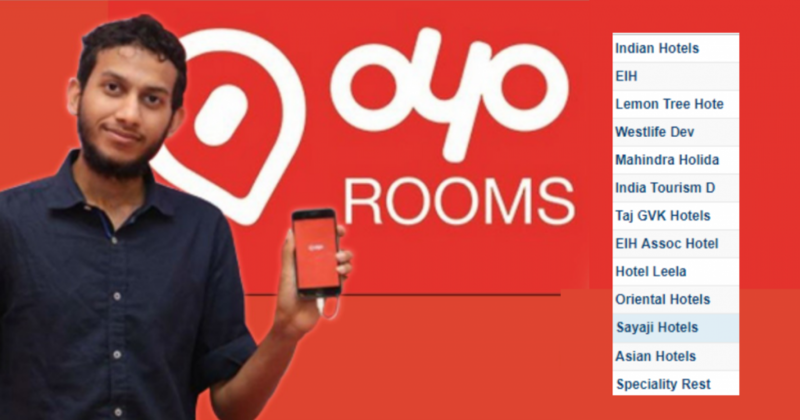 Oyo Rooms today raised a $1 billion (Rs. 7,300 crore) in funding from Softbank, Sequoia Capital and others. The funding round, one of the largest single rounds in Indian startup history, valued Oyo Rooms at a staggering $5 billion. While this makes Oyo India’s second most valuable startup after Paytm, it has also achieved another distinction: Oyo is now valued more than the top 4 of India’s publicly listed hotel companies, combined. 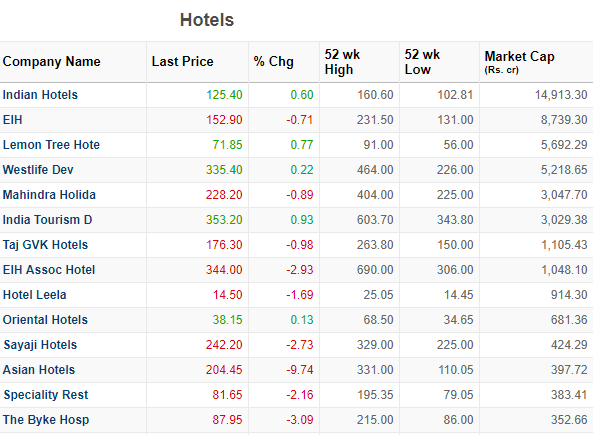 India has 38 hotel companies which trade on the stock markets. The biggest, in terms of market capitalization, is Indian Hotels, which runs the Taj chain of hotels. It is valued at Rs. 14, 913 crore. It is followed by EIH Ltd, which runs the Oberoi group of hotels, which has a market capitalization of Rs. 8,739 crore. Third is Lemon Tree hotels with a valuation of Rs. 5,692 crore, and the fourth most valuable hospitality chain in India is Westlife Dev, which runs the McDonald’s chain of restaurants in India, valued at Rs. 5,218 crore. They’re together valued at Rs. 34,562 crore. This is less than Oyo’s current valuation, which is Rs. 36,000 crore ($5 billion). These are pretty remarkable figures by itself. Oyo was founded just five years ago by Ritesh Agarwal, a 19-year-old college dropout, while the other hotel chains have illustrious pedigrees — the Taj Group of hotels, for instance, was founded over a century ago in 1903. But Oyo, with its model of asset-light hotel bookings coupled with the clever use of technology, has seen its value zoom far beyond those of these venerable chains. And it’s not only the top four firms which have been outflanked by Oyo — the sum of the market capitalizations of all 38 of listed hotel companies in India is a mere Rs. 48,714 crore. Oyo alone is now valued at Rs. 36,000 crore, meaning it’s valued at 75% of the total valuation of India’s listed hotel industry. Such numbers boggle the mind, but another company, similar to Oyo, has pulled off a similar feat. Airbnb is now valued at $31 billion, making it the largest hotel company in the world. 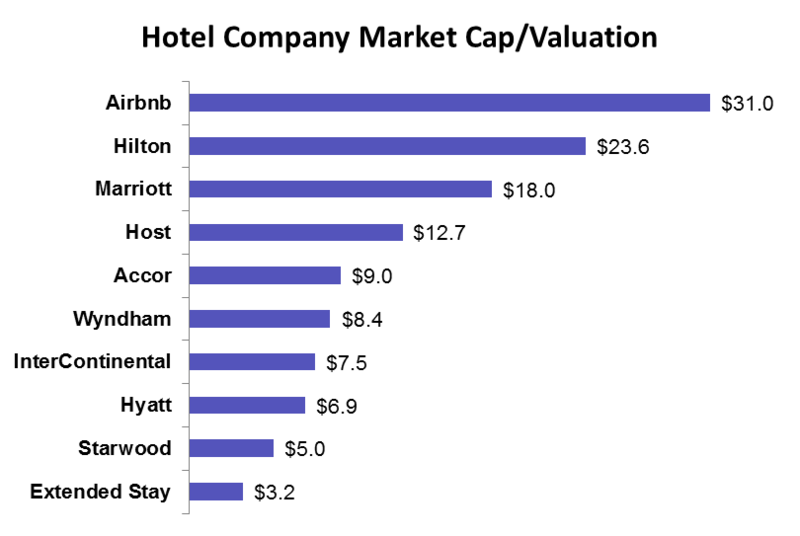 In comparison, Hilton group of hotels is valued at $23.6 billion, while Marriott is valued at $18 billion. And while Oyo is already nearly 75% as big as India’s hotel industry, it’s making strides on the global stage as well. With a valuation of $5 billion, it is now ranked 9th in terms of global hotel chains worldwide. Just goes to show that what a 19-year old in India, armed with an idea and tons of resolve, can really get done.